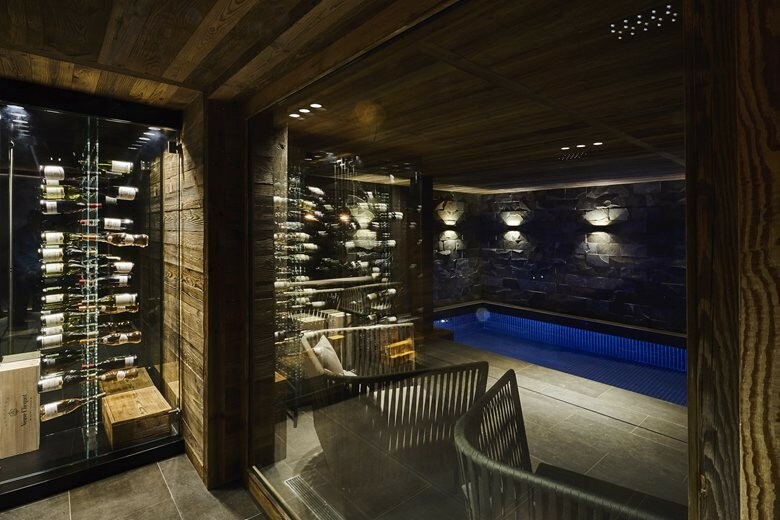 Having a house of one’s own in the French Alps is a golden dream of any downhill skier. 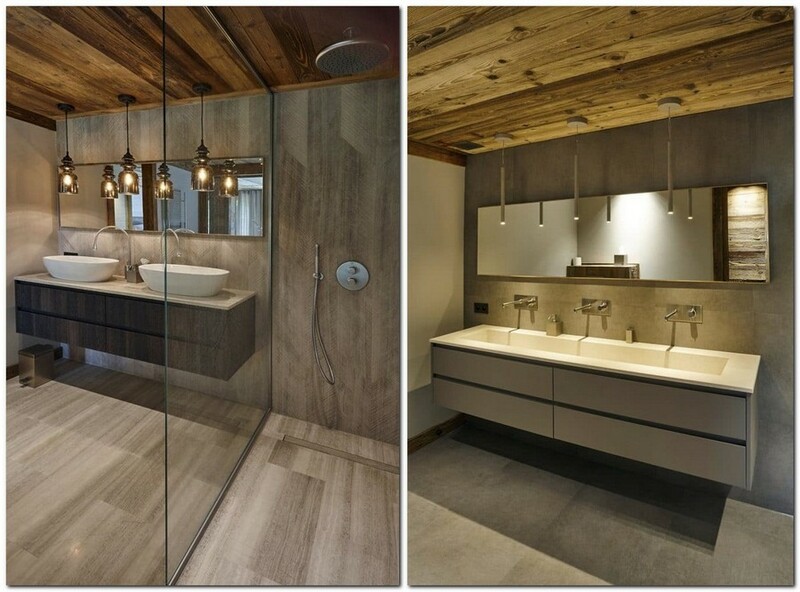 And this chalet featuring all the possible elements for full-fledged recreation of families and friends would please anyone. 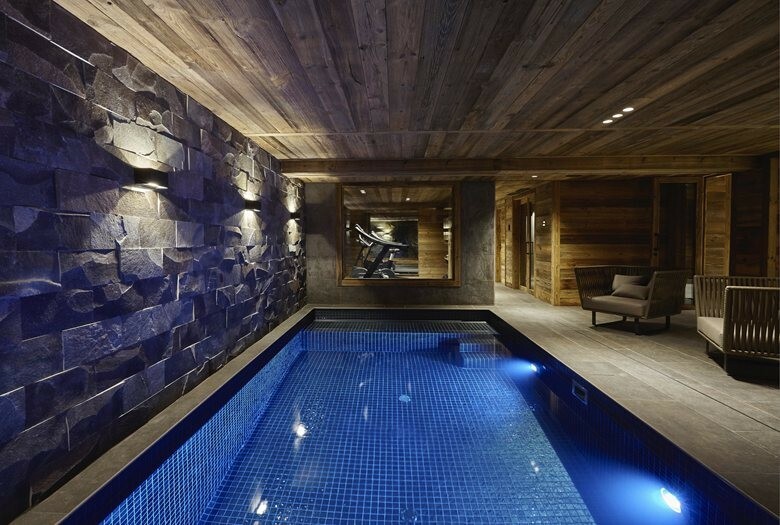 In Megeve, a world famous ski resort, there are dozens of houses designed by the best specialists in the sphere of architecture and interior décor. But this one demands a special mention – its interior is so attractive that even photos make you start dreaming about your next winter holidays. 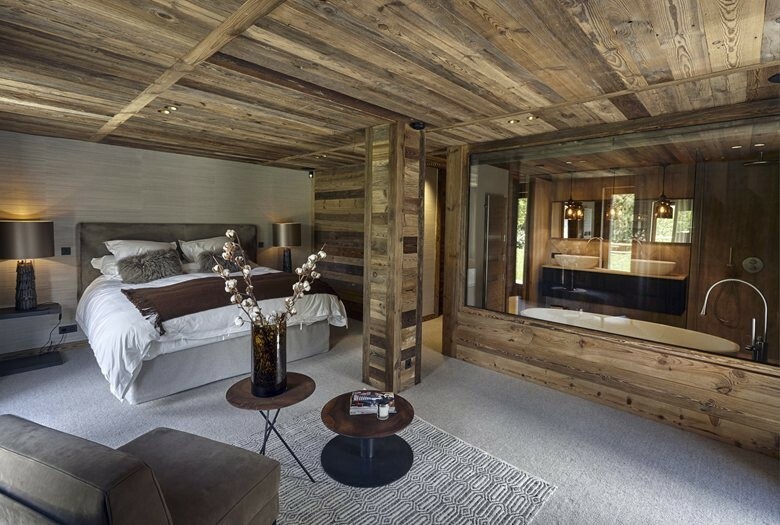 Quite predictably for chalet-style interiors, the key role belongs to wood and furniture made of this most natural material. 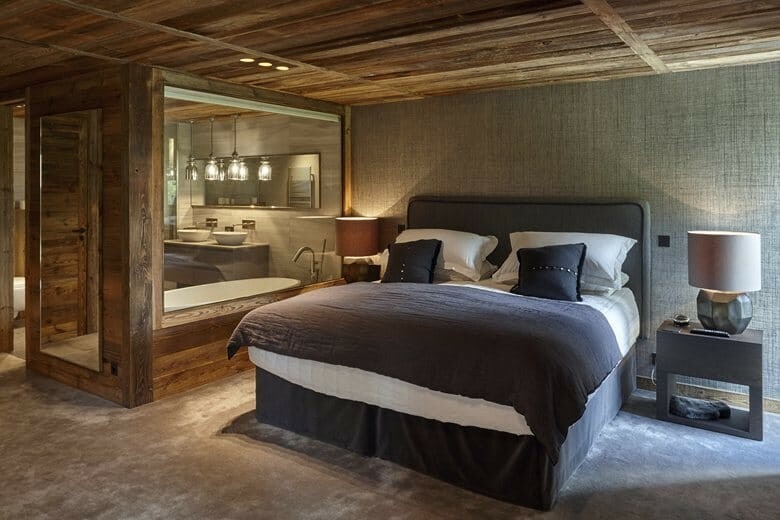 Massive wooden ceiling beams are diluted and somewhat softened by transparent glass walls and mirrors – thanks to them the space looks lighter and roomier. 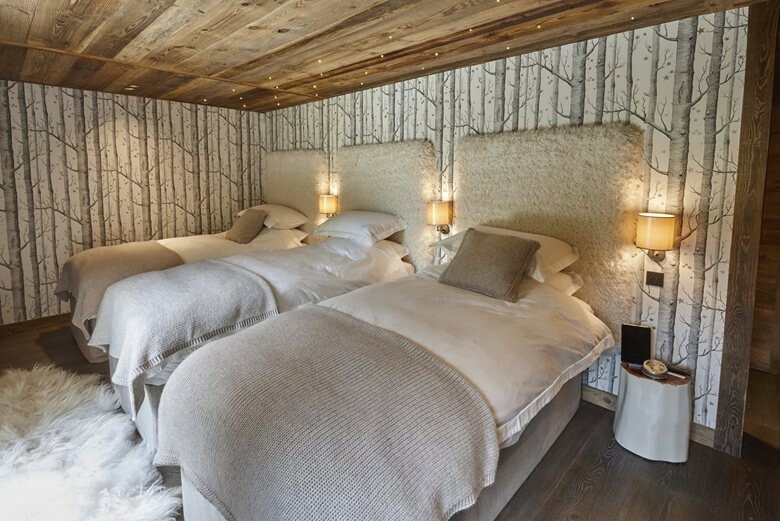 Also in this house you won’t see rough wooden furniture, so typical of chalet style interiors. 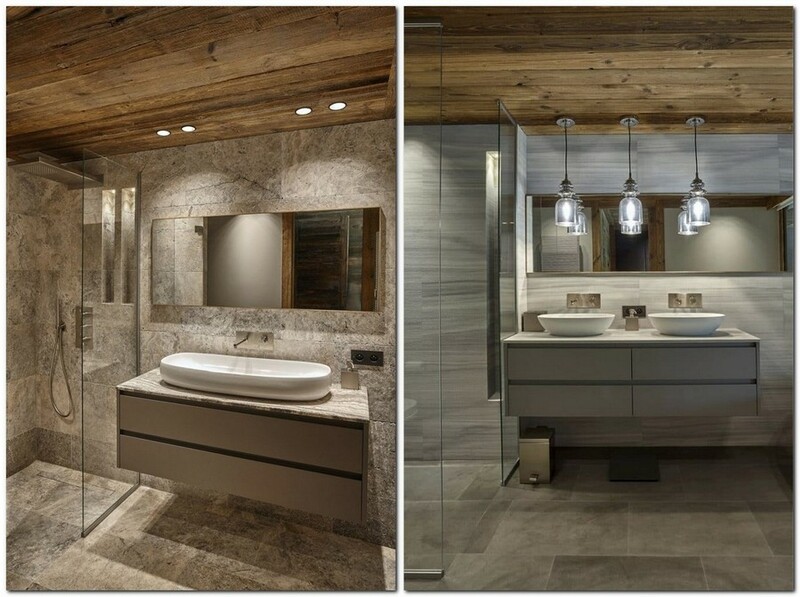 The designers focused on laconic contemporary models that perfectly fit into the ski resort residence. Besides, the interior features plenty of home textile – numerous rugs, carpets, fur, decorative pillows and amazing natural linen curtains. And of course, the living room area wouldn’t feel so marvelous without big panoramic windows letting natural light penetrate into every nook of the first floor. A big lounge zone offers a few relaxation scenarios: you may opt for a wide dining table or a group of sitting furniture including several comfy arm-chairs and a coffee table. 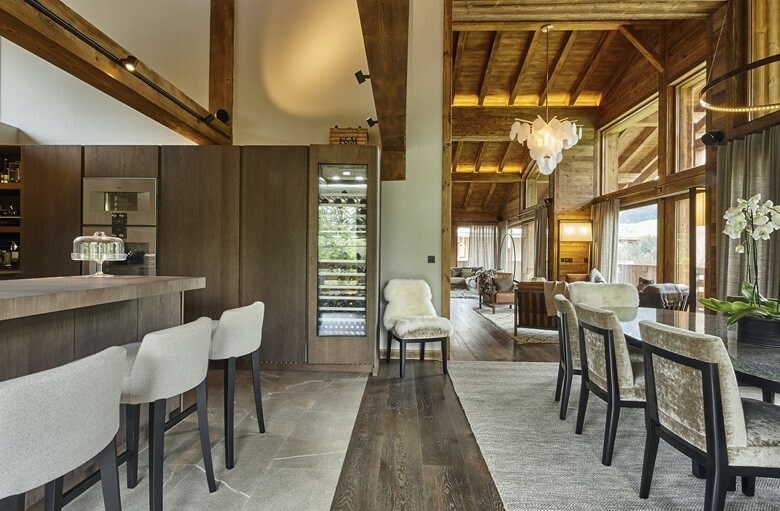 Another important element is a kitchen comprised of an island and a bar table. In short, every guest is free to choose the most preferable way of time-spending to his or her taste. Since chalets are especially designed for rest, the house is fulfilled with a number of versatile arm-chairs of different shapes and sizes. The most interesting option among them is undoubtedly and a suspended model by the fireplace. Spacious bedroom are accompanied by comfortable bathrooms and designed for peaceful sleep offering soft colors, plenty of home textile and dimmed lighting. 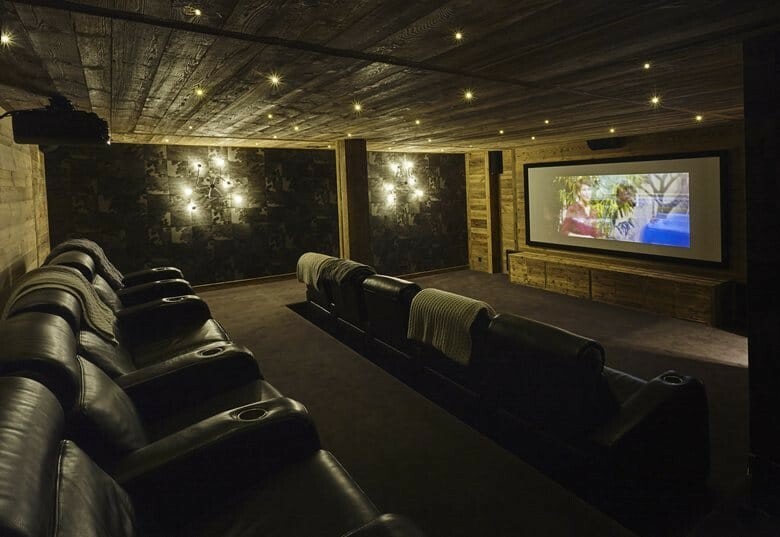 But the highlight of this chalet, which makes it absolutely special, is a few additional and pleasant facilities: a gym, a swimming pool and a movie room. Obviously, the masters will find something to do if they get tired of skiing.